You all might have noticed a reduction in posts over the weekend and sometimes during the week. Alas the go go go of the blog and work together started to get to me and so I decided that Friday and Saturday were best left away from trying to post and try to regain something of a life. I envy people like Andrew Sullivan who have decided to take a complete month off of blogging and detach from the digital world. Ultimately my life as I lived it the last few years was/is unsustainable. Lack of sleep makes you mess up posts and probably also makes you susceptible to being sick more often. With that being said, this isn't a GBCW post. Rather, it's just an announcement as to why things might seem a bit slower or less frequent. I'm still excited about this stuff. It still boils my blood. But trying to collect articles for work and blog my thoughts is wearing me out. So if you want to follow whats going on every day, check out the articles I send out at work every day. I try to pull together things that are interesting to TOD and transit from the approximately 400 news articles and blog posts I read daily. 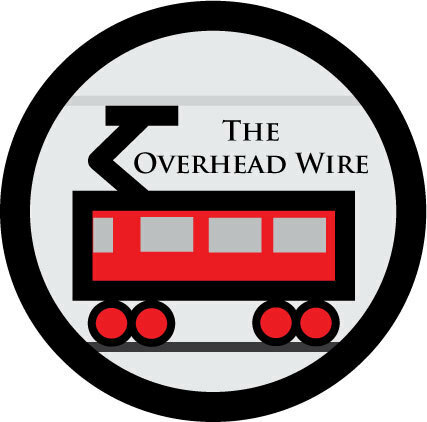 Some of these things you get on the Overhead Wire, some of these things you get on the CTOD blog. If you want to get these in your mail daily, send me an email. It's free so totally worth it! Sorry for the crossover plugs because as I said, I like to keep my opinion on TOW and work separate as much as possible, but trying to keep up everything is tiresome. So anyway, thanks for continuing to read and I'll be keeping it up!